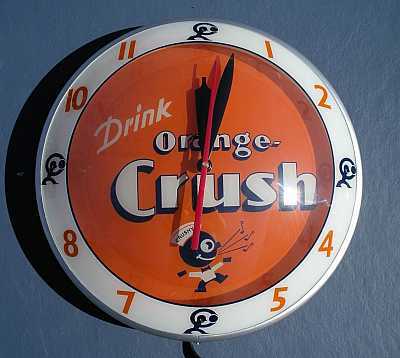 Orange Crush Double Bubble Wall Clock. 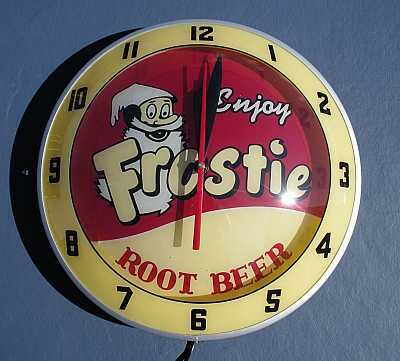 The clocks are designed to look like the old diner style clocks from the past. 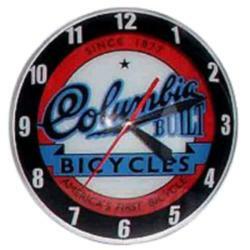 The Double Bubble clocks, were made from the 1940's to the 1960's and were known for being the most attractive of all the advertising clocks. Orange Crush clocks like this might have adorned the local hardware store, bicycle departments, or repair shops. 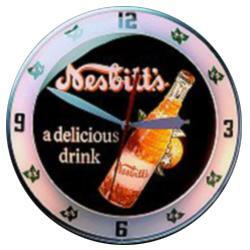 The clocks get their nickname, Double Bubble, because there is an inner crystal or glass bubble which displays the company logo. The hands of the clock are sandwiched between an outer crystal or glass bubble which usually displays the numbers of the clock. Domed glass over the front helps to float the hands above the Classic glassed-in Orange Crush logo.